own line of products we manufacture. Do You Need Quality Rebar Positioners For Your Next Project? 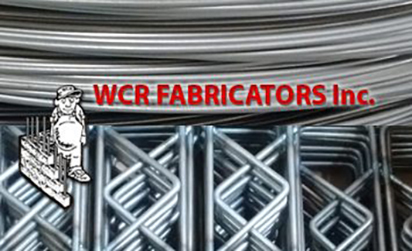 WCR Fabricators – Manufacturer and Distributor of Rebar Positioners. We also are a major distributor for Seismic Anchoring Systems, Veneer Anchors, and other rebar positioners. Do you need quality rebar positioners to get your masonry job done fast? We are the largest distributor and manufacturer of rebar positioners in the USA. We have the most competitive prices in the industry and have been in business for 40 years. Buy From The Rebar Positioner Leader – WCR Fabricators. 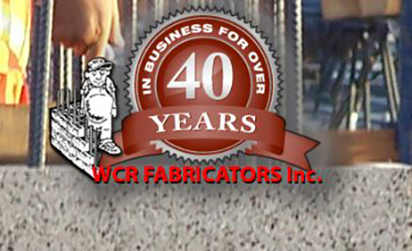 WCR Fabricators has been in business for over 40 years and we are a second generation family owned business that believes in the motto that the customer is always right, no matter what we think. This is how we have built a solid business that has earned the respect of masons all over the world. We manufacture and distribute rebar positioners, masonry products and anchoring systems for the masonry industry. WRC Fabricators is a manufacturer and distributor of Rebar Positioners and masonry products. We have been suppliers for Masons for over 40 years. We know exactly how to get the job done right. 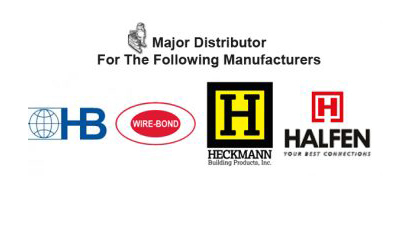 We are also distributors for the top companies such as Hohmann and Barnard, Wire Bond, Heckmann Building products and Halfen Fleming Anchoring Systems. When you need rebar positioners and other masonry products for your block laying project WCR Fabricators is the only call you need to make for all of your rebar positioner and masonry products needs. Call us today for a free quote! We are a company that offers rebar positioners to the masonry market throughout the United States and world. We are the major distributor for the masonry industry for rebar positioners that save lots of time by not having to tie all the wires for rebar positioning. We are major distributors for top companies that manufacture masonry products. When it comes to rebar positioners and masonry products we are the experts. © 2019 WCR Fabricators Inc. All Rights Reserved.